What kinds do you guys recommend? One of my favorites is Texas Pete. Not the hottest but super tasty. Cholula and Hoy Fong's Sriracha. 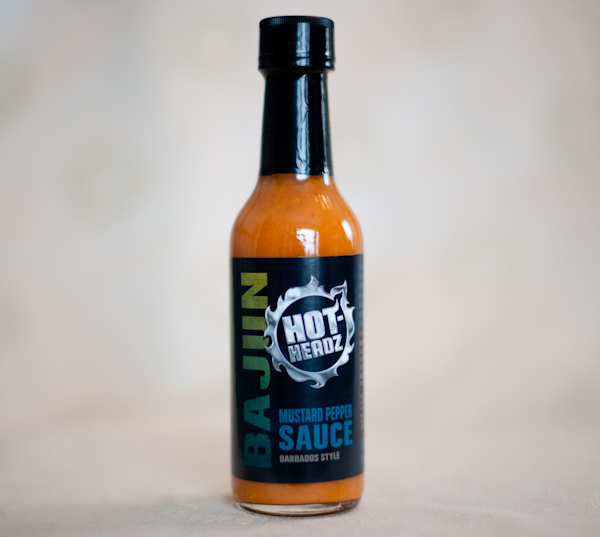 It's super tasty, and one of the few hot sauces readily available at a lot of establishments that I tend to find "hot." An amazing blend of chili oils, peppers, sesame oil, peanuts, and in my favourite kind, black beans. It's practically mandatory when eating dumplings with my parents, goes great with stir-fry or just mixed with plain white rice. 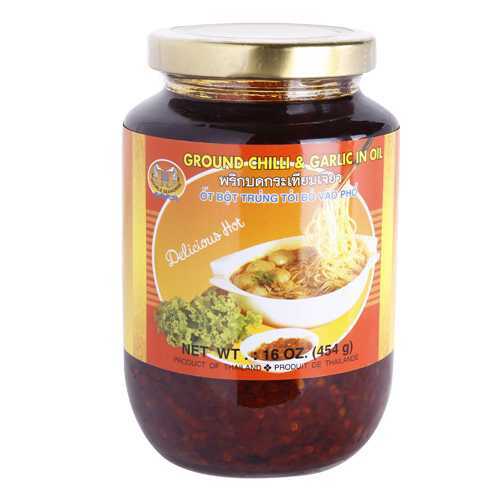 Is this fairly common and I'll find it at a bay area asian grocer? There was a GWS thread recently with people making their own sriracha. Sriracha is an absolute must. For Mexican hot sauces, I actually like Valentina the best, and it is hilariously cheap. Like, less than a dollar for a 20oz bottle here in Texas. 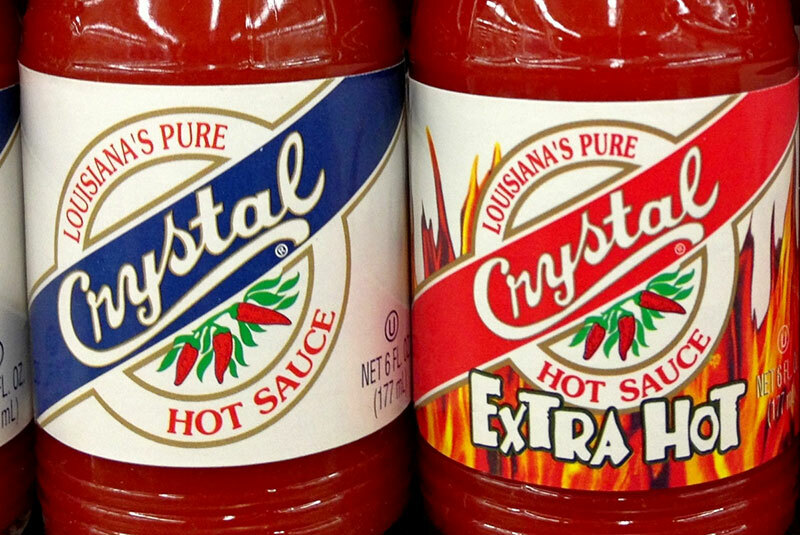 For Louisiana hot sauces, Crystal's is good, and so are a number of others, but honestly, the best that I have ever found is actually Schlotzky's. It's not quite as hot as I would like, but god drat the flavor and consistency are both PERFECT. I buy a new sauce to try at least once a week, and while many are great, I just keep coming back. It also helps that they sell it for like two bucks per bottle. 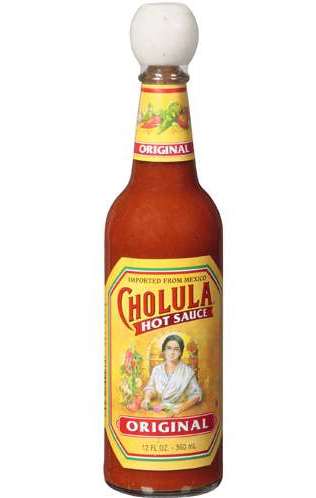 I love the original Cholula but they have a Chipotle variety (I know, I know) that I find goes really, really well with carnita pork. Very flavorful, not what I would call "hot." Mcilhenny Habanero Tabasco Sauce. 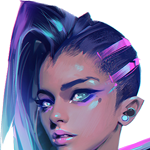 I swear to God, I could have this on everything. I bought a 24. 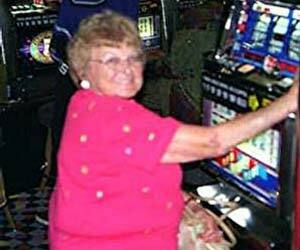 Yeah, look for the grumpy lady. This is probably my favorite hot sauce, mostly because it hasn't made me piss fire from my rear end in a top hat yet, and is still pretty spicy. I admit it: I'm the guy who doesn't like Sriracha as much as everyone else. At home, I always keep Tabasco Chipotle and Crystal (so much better than regular Tabasco) on hand. I don't like super-hot sauces that burn on their way out even more than on their way in, but whenever anything is described as hot and smoky or hot and sweet, that's when I have to try it. Quizno's Subs used to have a "Batch 41 Three-Pepper" hot sauce that I loved. It was thick and spicy and smoky and slightly sweet, too. At one point, they sold it in flask-shaped bottles, but I stopped eating at Quizno's when they stopped carrying the sauce. Fluctuations of the electric current exactly imitate the air waves of our voice. The best for Bloody Marys: simple, spicy, southern, no chunks, just thick & spicy tomato juice, basically. I have a horrible addiction to hot sauces. Every now and then I come upon a place that has quite a variety, and I can't leave without buying a bunch of random bottles. A few friends also know about my addiction so I randomly have bottles brought to me when people travel or just happen to see something interesting. That being said, I always keep a bottle of sriracha and a bottle of Frank's wing sauce in my fridge, the latter of which I doctor up with a few extras whenever I make wings. A friend that owned a bar for ~5 years had THE BEST wings, IMHO, and when they closed (due to not renewing their lease at the advice of their lawyer) they gave me the formula, and it's surprisingly simple for what it is. If I want the wings hotter than the standard, I have a whole shelf full in the door of my fridge to pick from. I love me some hot sauce. Can't wait to see what others come up with in here, and I almost guarantee you guys are gonna cost me money. My favorite is one that my friends dad has started making recently as a home business. It's hard to explain, but it's very "Haitian"-tasting. He won't really talk about the recipe, but I've come to the conclusion he's using Scotch bonnets as the pepper and spicing it with clove, but it's really unique tasting as far as I know. Unfortunately he pretty much just sells it out of his house in South Florida now, but it's really something that I hope will make it to stores and the like. Valentina is good for everything, Bufalo is a little sweeter and el yucateco will burn your poo poo esp the mayan recipe habanero. but in reality gently caress sauce, salsa is where its at get the peppers you grew in your garden roast or boil them throw them in the blender with some garlic and maybe a bit of vinegar some water, whatever poo poo is dope. Agreed. Homemade salsa kicks the hell out of hot sauce. This, motherfuckers, this poo poo right here. Double Seahorse chili garlic oil. Thai? Vietnamese? Who the gently caress knows. 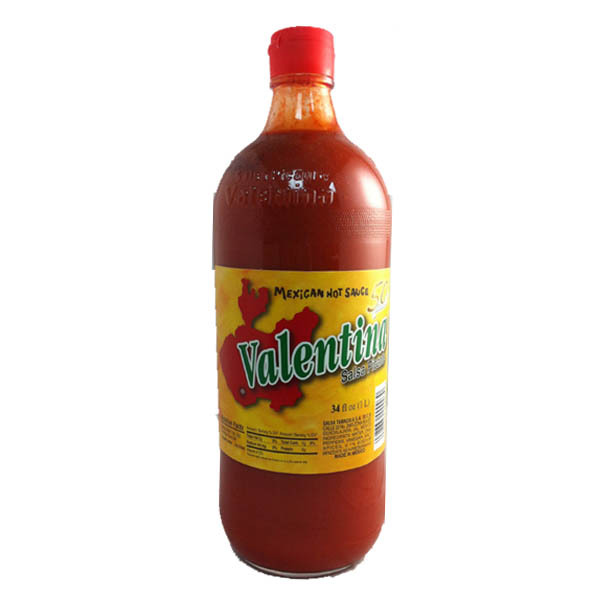 nthing the Valentina love - we keep a 34oz bottle in the fridge at all times (less than $2!) and for Mexican foods or anything with eggs, it's just wonderful. Can't get enough of it. I have a friend from Guatemala who turned me on to this stuff. It isn't too spicy at all, but it makes everything taste delicious. 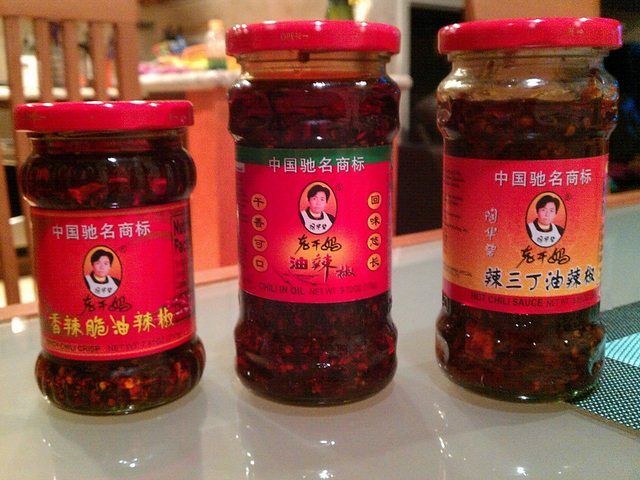 the chili oil isn't exactly right I think, but this was the nearest thing I could find. the kind I have has like fried bean curd bits in it which are extra salty and crunchy, and a little sweet. so loving delicious, esp on dim sum. "Why would anyone want to kill me, I'm awesome"
You can find this at Cost Plus:World Market. It's my go to hot sauce, and has great flavor and spice. The Moon is for Sissies! The extra hot is easily my favorite hot sauce. I wish I could find it in the KC area, though. Every time I visit my parents, I always get funny looks with a cart full of a month or twos supply of the stuff. These are all the best hot sauce. I haven't seem them for sale in forever, I really need to order a few bottles. 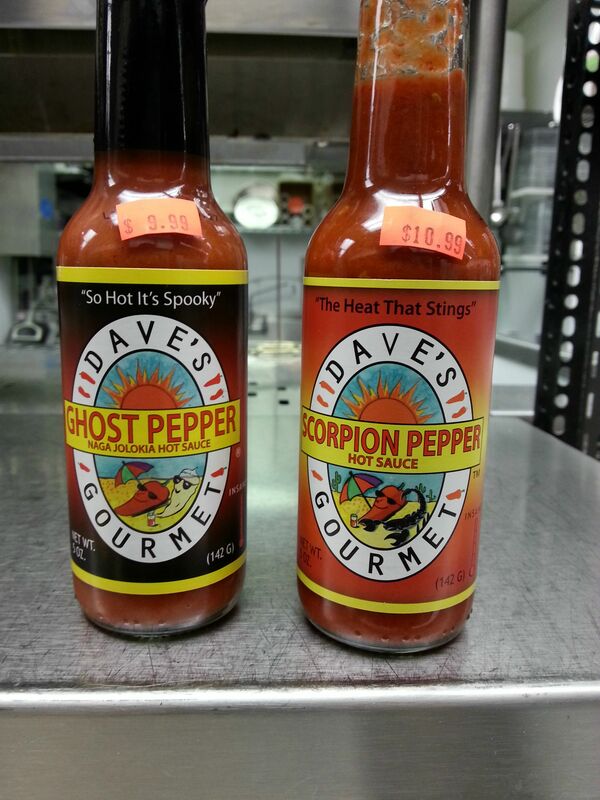 I keep both Dave's Ghost Pepper and Dave's Scorpion Pepper sauce at work for when I want to enjoy something tasty and spicy. Not my picture, but the same bottles I keep around. I love Cholua, but it's freaking expensive, so Valentina is a good compromise. 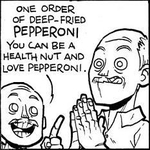 Tapatio is pretty good too. 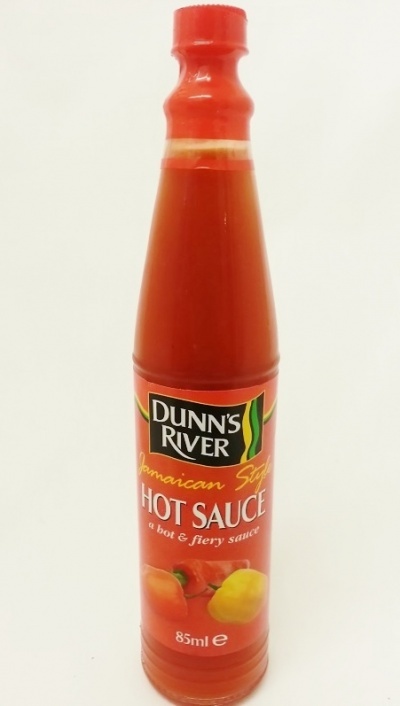 I've also had this Rhino Peri-Peri sauce that's absolutely fantastic. Are you in the US? Amazon carries it. Prime eligible even. Don't want to start dropping names lest it be perceived as advertising, but a buddy of mine started making and selling his own recently as well. I still have a bottle of Crystal and a bottle of Sriracha, but I usually just use his these days. 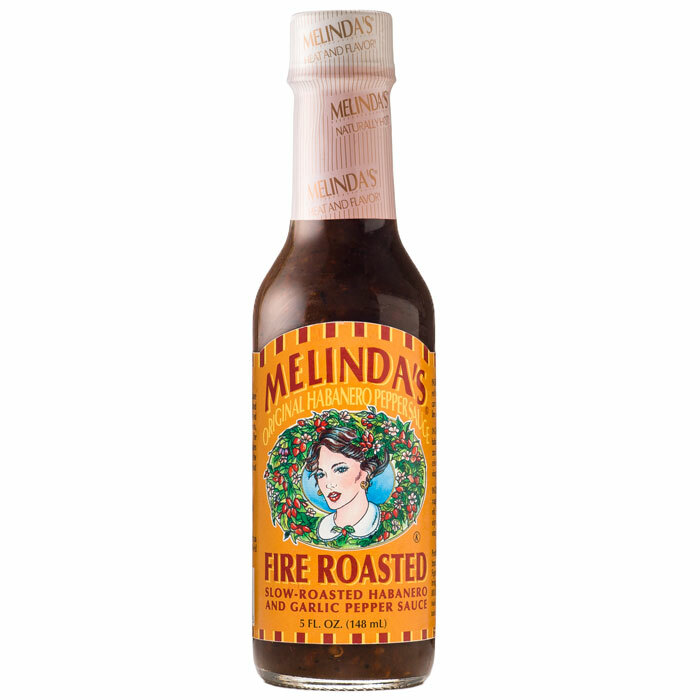 I like Melinda's fire roasted habanero sauce. It's chunky and it's got a good flavor to it. Goes really well with beans and rice. I'm not too partial to the green stuff, but they have pretty much every other kind of El Yucateco around me. The chipotle and the Mayan Kutbil-Ik versions are delicious. Also in my fridge but not used nearly as often are Tabasco and Texas Pete Pepper Sauce. I only use those as toppings on things like greens though. For that stuff I go with the classics. Oh and I guess I do have Cholula too. Man I didn't realize I have an entire shelf in my fridge door dedicated to hot sauces and mustards. Yes and the two pack works out a bit cheaper than local. Cool. 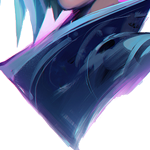 More Valentina love here. I did notice that it has a different cap when bought at the Mexican grocery vs Kroger. The Mexican grocer has a wide open pourer, the kroger one has a regular hot sauce tiny shaker hole. Probably because most people don't love hot sauce as much as we do. As an extremely pasty white male, anytime I go into a Thai restaurant or any other place with respectable spicy food, I usually make sure to stress that I like things Thai hot or equivalent. I've gotten funny looks and "Are you sure?" quite a few times. 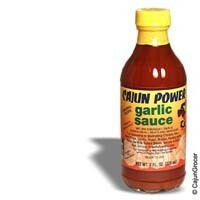 I'll burn my mouth with copious amounts of capsaicin and like it, damnit. Here is a question, I love mustard-based bbq sauces but I have never made one I am happy with. Can anyone recommend a good bottled brand for me to try? It's pulled pork season and I need something to get me started. Unicorns bite, but their bites feel GOOD. Got hooked on this stuff while in the UK, I ran out almost a year ago and need to find a new hook-up to get my fix. Central American hot sauce, good on everything. 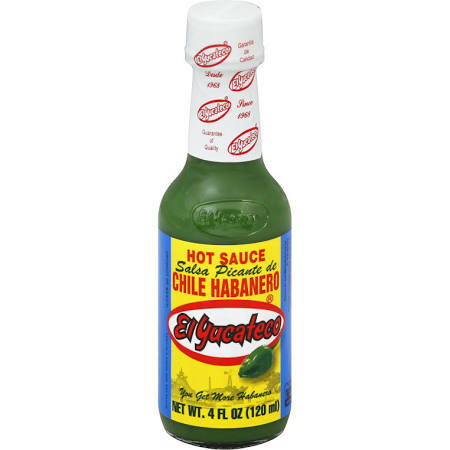 Amazing on tacos with a dash of El Yucateco for more heat. Agreed, to both. 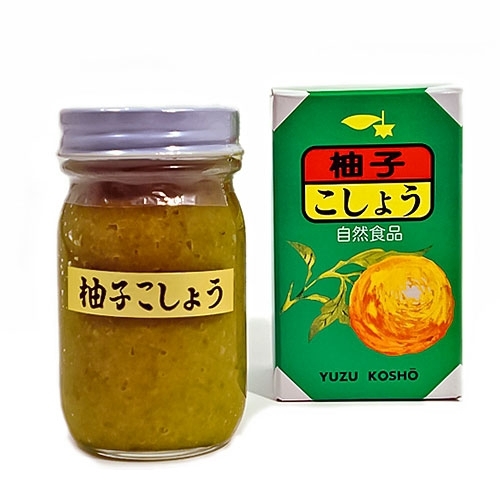 Yuzu kosho is ridiculous. I'm not a fascist. I'm a priest. Fascists dress up in black and tell people what to do. 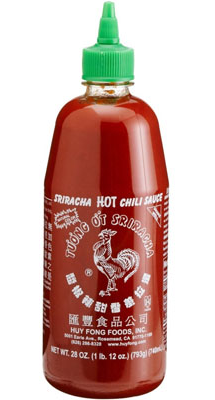 I dunno if sriracha has changed or something but nowadays when I put it on stuff I think there's a foul taste to it. I don't really use it anymore.